Hi, This is an approved official Android 5.1 Lollipop Stock Rom V1 of Micromax E484 Canvas 6 Pro and this is a easy and safe guide to install or unbrick Micromax E484 Canvas 6 Pro Stock Rom V1. Follow this guide to update or flash your phone with Android 5.1 Lollipop Stock Rom V1. This is an Fully worked and Approved unbrick hard bricked Micromax E484 Canvas 6 Pro guide. I have personally unbrick hard bricked Micromax E484 Canvas 6 Pro using this guide. when i bricked my Micromax E484 Canvas 6 Pro,then I try so many methods and read lot of guides but I found many mistake them, so I try to make a prefect guide for it and try to provide all required tools and drivers in this guide for bricked Micromax E484 Canvas 6 Pro, it’s make this phone very smoother and faster. If we talk on gaming of this phone then we find Micromax E484 Canvas 6 Pro performed very well. 1. Take a backup of your phone by this guide. Step 1: Install drivers on your PC (If you feel any problem in install driver then watch this video) and Enable Developer Mode and USB Debugging on your Phone by this guide. After then switch off your phone. 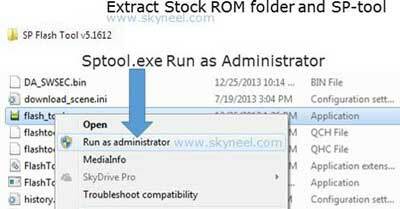 Step 2: Extract Stock ROM and SP Tool folder, where you want to save. Open the SP Tool and run Sptool.exe as Administrator. Step 3: Click on Scatter-Loading option. SP Tool ask you the location of the scatter file in your PC. You will find it in the extracted Stock ROM folder. 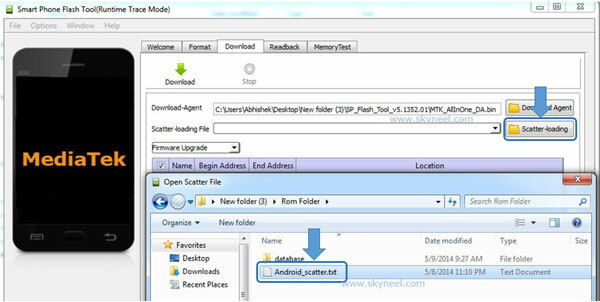 Now go to the Rom folder and select the file “Android_scatter_emmc.txt” which is your stock Rom scatter file. Step 5: SP Tool auto-detect your phone and process will start. If Sptool is not recognize or detect your phone then install vcom driver. 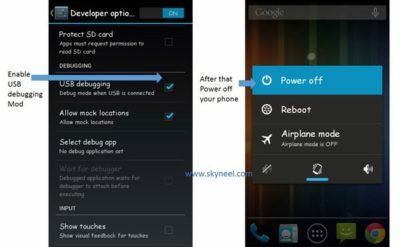 After install Vcom driver reconnect your switched off phone with the PC. If you phone again not recognized by your SP Tool then try to flash via Meta mode flashing process, here is Meta-Mode flashing guide. Step 6: Now start downloading Stock Rom in your phone by flashing. After the process complete, a green ring will appear. Now disconnect your updated Smartphone. If you feel any problem of flashing or update your phone then watch this video. After install or unbrick Micromax E484 Canvas 6 Pro Stock Rom V1, you can root your phone because root allows you to use a maximum of your phone without any restrictions. After root you will install custom apps, Rom and custom setting in your phone. But first read Root Advantage and Disadvantage by this article, then follow this guide How to install TWRP recovery and root Micromax E484 Canvas 6 Pro. I hope you like this unbrick Micromax E484 Canvas 6 Pro Stock Rom V1 installation guide from which you will be able to easily unbrick Micromax E484 Canvas 6 Pro Stock Rom V1 without any extra efforts. If feel any problem in this guide then please use comment box. Thanks to all. Thanks a lot. Works like a charm….